The weather took a turn for the cold again, which gave me the perfect excuse to take this 1930s wool and rayon piece for another outing today. 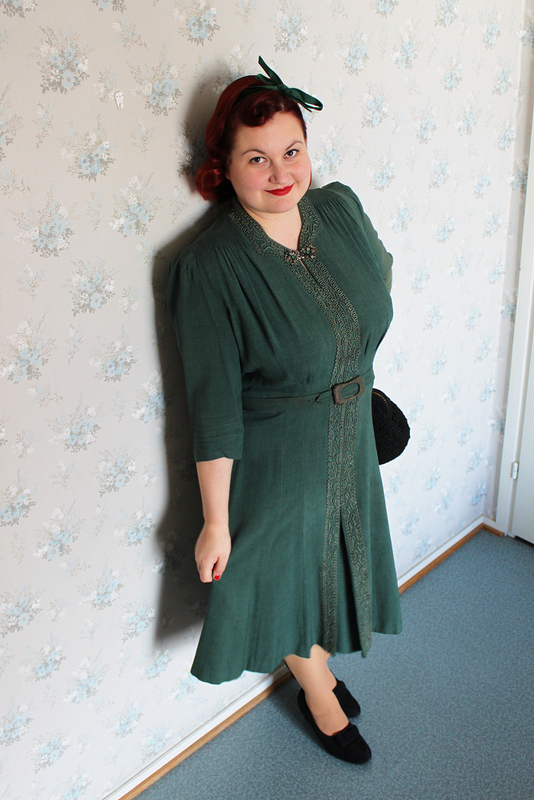 Some of you might remember that I wore it to Helsinki Vintage back in September. The dress is, unfortunately, not in the best of shape but is still very beautiful and comes with plenty of drool-worthy details. 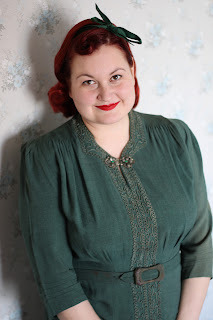 I love the soutache down the front and the deco hooks at the neck, the shirring at the shoulders and those darted sleeves. Gorgeous! 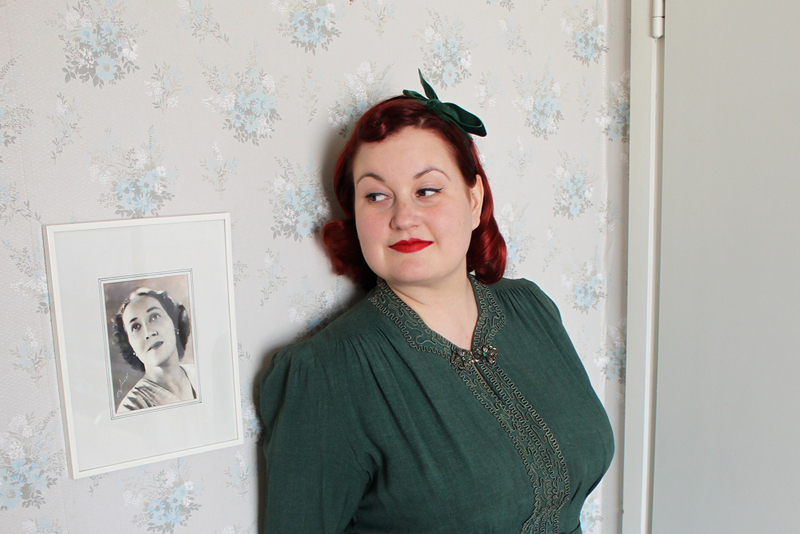 FYI: the framed photo in the last picture is one of my grandma's lovely headshots from around the 50s. Such a great dress! I almost bought it but I'm glad you ended up with it, it looks fabulous on you! What a stunning dress--the color is exquisite on you! This dress is one of my favourites in your wardrobe. It suits you so well and those detailes are stunnign! Soutache-decorations are always pretty.